Learn how to lead and integrate a team of multi-disciplinary professionals on LJMU's Construction Project Management Masters. This programme aims to provide a stimulating and challenging curriculum which produces self-reliant, versatile, enterprising and competent construction project managers. It will enable you to build your knowledge, skills and understanding to become an independent learner. You will even be able to tailor your programme of study to your personal background, interests and career aspirations. The quality of this programme and the Department is recognised by the Chartered Institute of Building with Accredited Centre status, and by the Royal Institution of Chartered Surveyors as a Partnering Establishment. The degree has a high standing both academically and professionally. The programme will increase your exposure to the current and emerging theories and practice of project management. It will encourage a risk management approach to problem solving, provide opportunities for collaborative and student-centred study and offer clear career development opportunities. The course is always well received by students who commend the applied use of theory through software applications in the workplace. Many have also commented on the ‘added value’ provided by the programme with the option to complete the Foundation Stage qualification for Prince2® (fee payment required to the APM). 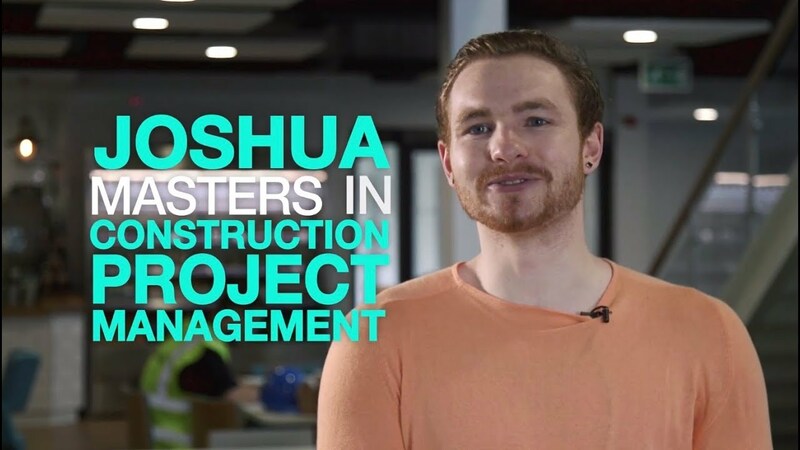 With a first degree in architecture, Joshua Boaler researched project management Masters courses all over the UK, before settling on LJMU’s Construction Project Management programme. There are many employment options available to you after you graduate. For example you could work for a main contractor on a commercial development such as Liverpool One, or you could work for a Project Management Consultancy and represent the Client such as a NHS trust for a new hospital like the Royal Liverpool Hospital. This module focuses on your critical understanding of the research process. In preparation for your research study, it also develops skills in research design, implementation and presentation. You will come to understand the differing techniques, strategies and methods used to undertake research in the built environment. This module develops and tests your ability to prepare a dissertation, based on the study of a subject related to your chosen discipline within the built environment. Dissertation preparation normally takes place after completion of the Postgraduate Diploma stage. This module develops the Project Management skills and knowledge necessary to manage the key processes of planning, executing, controlling and closing a project at appropriate stages in the project life cycle. It also offers a thorough analysis of the environment in which such processes operate. This module provides an in-depth understanding of the production management of modern, complex and fast-paced construction projects. It also covers key aspects of Building Information Modelling (BIM) within construction management roles. This module provides a wide ranging study of the sustainability and lean principles affecting the modern construction sector. It aims to identify and critically appraise how environmental sustainability and lean principles can be incorporated into a more modern and innovative construction organisation and industry. This module develops your practical and team skills, within the context of collaborative working, on an industry project. You will follow BIM protocols and practice as part of a collaborative, multidisciplinary project team to achieve project success. This module provides the knowledge and skills to apply the PRINCE2® Project Management method to the management of different stages of the project life cycle. You will learn through a mixture of lectures, tutorials, seminars, projects and field study visits. Close partnerships with industry and practice ensure the course and our graduates are responsive to the changing needs of industry, government, local communities and professional practice. Assessment methods on this programme include: group and individual presentations, written reports, a formal exam and a dissertation. This programme is based in the City Campus. Besides well-equipped workshops, we have: a structural testing laboratory, a concrete laboratory, a radio frequency and microwave laboratory, a highways research laboratory, an industrial chemistry laboratory, a soil mechanics laboratory, hydraulics laboratory, surveying laboratory, light structure and materials laboratory, building information modelling (BIM) software and expertise and smart homes.